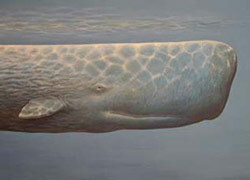 Are you sure its sperm whale? I thought it was mostly Minke whale. Usually these days it’s mostly Minke Whale, but sperm whale does find its way in restaurants sometimes! Unbelievable arrogance and disregard for a fragile marine ecology. 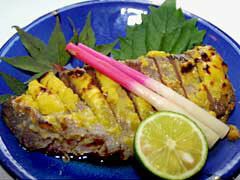 i will enjoy eating kujira again when i go back to visit Japan!! very tasty! I am an open-minded foodie and want to try all sorts of things. I am horrified at the way that whales are killed by whalers. If the chickens, pigs and cows and so on that we eat every day were subjected to the hideously cruel way that whales are killed, I think that most of the general public simply couldn’t eat them. 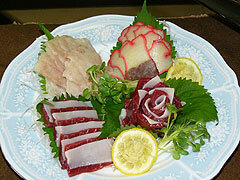 Still, as a foodie, I have consciously eaten whale a half a dozen times or so in Japan, and I am glad that I have. Because, I can now definitively say that whale isn’t at all delicious. 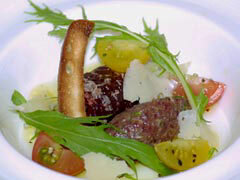 Even if you are not offended by the cruelty and inhumanity of whalers, whale meat just simply isn’t worth eating. Still, I appreciate this article. I am not offended that you dared to mention on your site that people in Japan really do eat whale in various forms. Thank you. 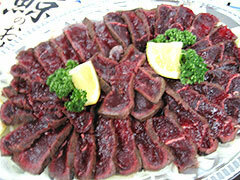 I lived in either Tokyo-to or Saitama-ken for most of the decade of the 1960’s and ate whale meat many times. 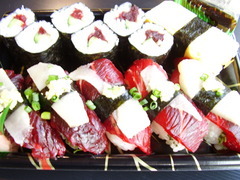 In the summer it was great when it was chilled almost to the point of freezing and served as sashimi. In the winter I ate it breaded and fried like a cutlet along with sake. I also liked the canned whale meat which had been cooked in sweetened soy sauce. Knowing the level of contamination in whale meat I would probably eat it more cautiously now but I have no regrets and reminisce pleasurably over past meals.